In Britain there are today only about 60 Burnells for every million of the population so it is a relatively uncommon name. The earliest records of baptisms from the 16th century show three distinct areas of England where the majority of Burnells were concentrated - Devon, Shropshire and West Yorkshire. The earliest written reference to the name dates from 1130 when a Robertus Burnellus was recorded in the Pipe Rolls of the City of Oxford. Other early references are Burnellus de Aumiell in the Curia Regis rolls of Yorkshire in 1200, and William Burnel, recorded in Lincoln in 1197. 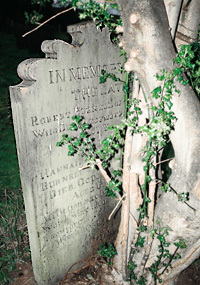 The earliest reference to Burnells in Shropshire is the death of Thomas Burnell in 1195. His lease of the manor of Albrightlee passed to his brother William, whose son later seized the abbey of Lilleshall. The most famous Burnell of these early years was Robert Burnell (c1239-1292) from the Shropshire family who served Prince Edward, later Edward I. He was twice elected Archbishop of Canterbury, but the Pope refused to confirm the appointment due to his private life (a long-term mistress). He served as Lord Chancellor from 1274 until his death, and as Bishop of Bath and Wells from 1275. He built the castle at Acton Burnell in Shropshire and acquired extensive estates there and in Devon (Crooke Burnell), Worcestershire (Wick Burnell), Gloucestershire (Little Rissington), Somerset (Upton Noble, and North Cheriton), Warwickshire (Bidford and Burnell's Broom), Herfordshire (Letchworth), Kent (Rotherhithe, Hatcham and East Wickham), Essex (East and West Ham Burnells), Surrey (Sheen and Ewell), Yorkshire (Osmotherley and Morton on Swale), and elsewhere. In total he owned 82 manors of which 21 were in Shropshire. It should be noted that Holcombe Burnell in Devon is nothing to do with the Burnell family, being a corruption of Berner, the original owner. Robert left no legitimate descendants, the estates passing to his nephew, Philip Burnell and thence to Philip's son Edward, the first and last Lord Burnell. Edward left no male heir, and the estates went to Nicholas de Handlo, the son of his sister Maud by her second husband. Nicholas adopted the name Burnell, and the estates passed to his son Hugh. Hugh's only son Edward was killed in the battle of Agincourt and the barony fell into abeyance. Some of the estates went to Edward's sisters and some were claimed by the Lovel family (John Lovel was Maud's son by her first marrriage). While it is possible that the Burnells recorded in Shropshire in the 16th Century are in some way related to Robert Burnell's family, the only link to the Burnells in Devon and Yorkshire is that these were two of the many places Robert Burnell owned land. Hereditary surnames were first introduced by the Norman barons after 1066 and the usage was slowly adopted by commoners over the next 300 years. There are two main theories for the origin of the name - that it was derived from brunn meaning someone of dark complexion plus the diminutive el (a short form of little). Alternatively, and perhaps more likely, it may be residential and derived from places called Burnt-hill or Burnhill. Name spellings did not become fixed until the nineteenth century, and in my direct line I have found the name spelt variously as Burnel, Burnil, Burnill and Burnhill, as well as the occasional more exotic spelling. People chose surnames they thought were appropriate, and it is quite possible there were 'burnt hills' both in Devon and Yorkshire with no connection between them. I cannot even prove that there is a direct connection between my line and the other Burnell families in West Yorkshire - all I can say with certainty is that if there is a connection, it is before 1600. Nevertheless, it is interesting that the name is strongly localised, and that this geographical concentration persists over the centuries, albeit with some gradual movement. This suggests that there may be distant family links, at least within the individual localities. I have analysed the distribution of Burnell births for successive periods of 50 years from 1500 to 1949 and the results are plotted here. This analysis shows that the Burnells in Shropshire gradually died out or moved away, until there were virtually none left by the mid nineteenth century. One the other hand, Devon has retained its relatively high proportion of Burnells and from 1600 a new concentration developed in Gloucestershire, later spreading to Somerset and South Wales. Like Devon, West Yorkshire has continued to be a Burnell stronghold through to the present day, with some growth to the north in Durham. For a time during the later 17th and early 18th century there was a cluster of Burnells in Sussex, but this was temporary. The 18th century saw a new cluster developing in Buckinghamshire and this persists to the present day. The number of Burnells in London has consistently been large in absolute terms, but as a proportion of the total population they are much fewer than in Devon and Buckinghamshire. From their English origins, Burnells have spread out across the world. The name is now as common in Australia as it is in Britain, 60-70% as common in Canada and New Zealand, and 43% as common in the United States. There are relatively few Burnells in Scotland and Ireland and very few in non-English speaking countries. In Britain, the top towns are Taunton, Bristol, Leeds, Cardiff, Coventry, Nottingham, Hemel Hempstead, Exeter and Bridgend. See distribution of Burnells from the 2012 electoral register.